Elegantly simple call tracking for your business. Call Tracker makes it radically simple to setup tracking numbers and get analytics data you need so you can focus on what's working and stop spending on what's not. "Clear and simple call tracking"
Calltracker.io was a pretty easy choice for tracking calls - it's clear, simple, effective and has a great team behind it. No frills, no fuss, just simple with a UI that's easy to get around in. We have really appreciated the hands-on support from their team -- it shows how much they care about the success of their product. There are a few small front-end issues that the Calltracker team seems to have been fixing steadily. Nothing that would prevent the product working perfectly, but it's a new app and a few typos show up here and there. Otherwise well polished. We needed an effective way to track incoming sales inquiries via Adwords and other digital marketing campaigns (email, etc). Although there are other more in-depth systems out there that allow a huge amount of integration in overall marketing strategies, we felt that Calltracker.io was much more suitable to our program of rapid, evolving media tests. With integrations to G-Analytics it's really all that's required to spin up call tracking quickly, test placements, evaluate results, and move forward. We'll continue to use the product moving forward. "Super intuitive + budget-friendly pricing"
The simple UI is a joy to use, and white label agency accounts are included out of the box at no extra cost. This is a stark contrast to other providers who require that you be on an expensive monthly plan to get started with white label features. For just a few dollars a month we were able to get started with our first client in minutes. The system doesn't have as many third-party integrations as we had available with other competitors, which makes data reporting and integration with client reports a little more difficult. We use Call Tracker to display unique tracking phone numbers for online ad campaigns and SEO visitors. The pricing is great and the features are virtually identical and in some cases better than more expensive services. I would like to see automated reporting that could be sent out weekly or monthly to clients. 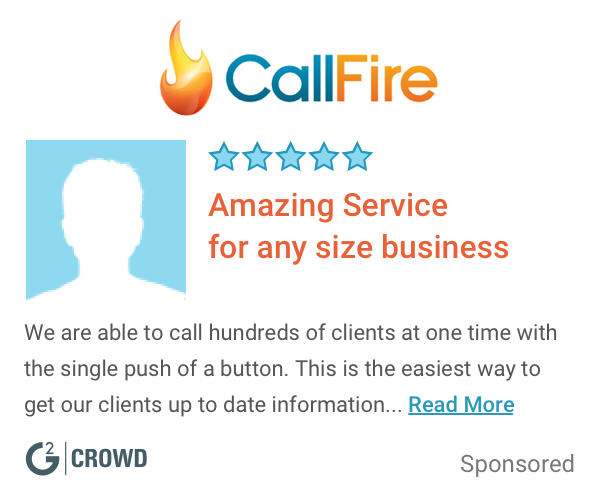 Great way to offer Call Tracking without a big monthly commitment. Call Tacker allows me to offer a service that not all other agencies or freelancers are able to offer and it separates me from competition. "Good for tracking calls. " Running Reporting is very easy. I am able to get the information I need easily. The mobile interface could be better. The layout on my phone can be hard to read sometimes. We keep track of calls from ppc marketing and use it to for marketing analysis. Can't think of any right now. I can't think of any right now as I haven't used it much yet. Not to publish my private phone # for marketing tool. I am just starting my small business and have not realized benefits yet, but expecting to. * We monitor all Call Tracker reviews to prevent fraudulent reviews and keep review quality high. We do not post reviews by company employees or direct competitors. Validated reviews require the user to submit a screenshot of the product containing their user ID, in order to verify a user is an actual user of the product. Hi there! Are you looking to implement a solution like Call Tracker?